July Eihth is a passionate rising emcee who resides in Milwaukee with his heart in New York. 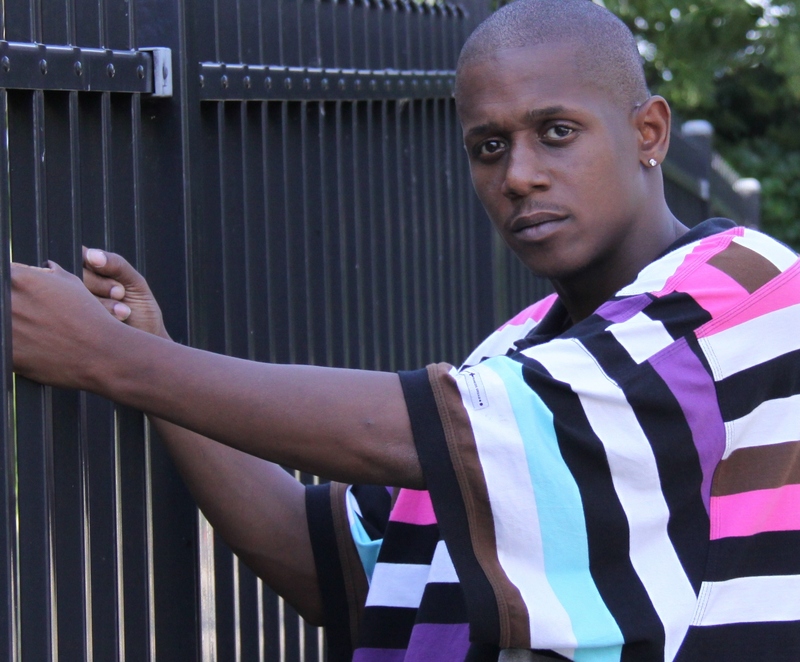 As a member of Blaqlizt Music Entertainment, he has released two projects Steal From The Rich, Give To The Poor , The Show, and is currently working on new material. In an exclusive interview with The Illixer, July dishes on everything from being inspired by Biggie to his love for his family. Check it after the jump …. The Illixer: Explain the story behind your stage name? July Eihth: The name comes from my friend/cousin Marxmillion. When I first started, it was originally July 7th. July was chosen because it’s the hottest month of the summer and the seventh because it’s the date for the black male Independence Day. However, Marxmillion came to me one day and suggested that I switch it up. Keep the July part but change it to the eighth. The reason being is because the number eight sideways is the symbol for infinity. So not to be cocky or anything, but it’s like I’m the hottest always. TI: When did you first get into Hip-Hop and what about the genre appealed to you? JE: I used to live in New York with my dad’s family. I received a class poetry assignment and slacked off. I was kind of like the class clown, me and this other guy. We got held after class one day. For goofing off and not paying attention, the teacher gave us a bigger project as punishment. We had one week to come up with a serious top notch poem. While trying to come up with something I came across my aunt’s DJ Jazzy Jeff & The Fresh Prince tape. The first thing I heard was “Brand New Funk” and the lines moved me. That inspiration motivated me to write the poem but it came out more as a rap. When I read it in front of the class, the teacher was so impressed that she encouraged me to enter the school talent show. I did and won first place. So that’s how I found Hip-Hop and that’s how Hip-Hop found me. TI: Who were some of your influences growing up? JE: DJ Jazzy Jeff & The Fresh Prince, Rakim, Wu-Tang Clan, Nas, A Tribe Called Quest, Black Sheep, De La Soul, and I mean I could go on and on. My main influence though was Mr. Christopher Wallace aka Biggie. I liked Biggie because he was different. He wasn’t the most attractive guy ever. He didn’t go around dancing and showing off. But he was still successful and people still liked him. It was like Biggie made it alright to be who were as an artist, a character, and as a human being. It was like you could be who you are and be the greatest person ever. Growing up I felt like a nobody until seeing Biggie and where he came from. I was like if he can make it, I can too. TI: What do you feel are some of the advantages of being on the New York Hip-Hop scene compared to being on the Hip-Hop scene in Milwaukee? JE: Rapping in New York City there were more people into Hip-Hop, so you had a better audience. Also, the vibe was more positive and supportive to up-and-coming artists. And you had numerous locations where you could go to perform. I saw all types of rappers at local parks and venues before they made it big. Like Havoc of Mobb Deep for example. Milwaukee is not like that. 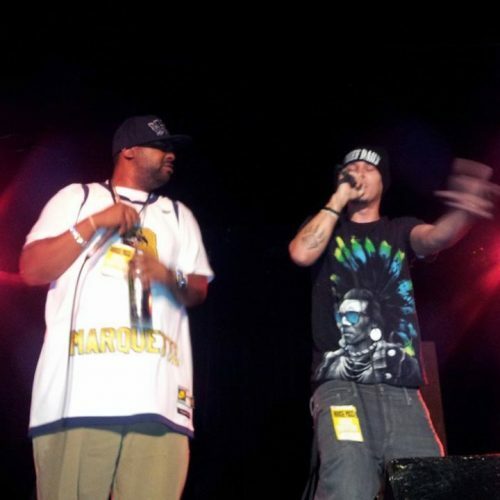 To put it another way, the Milwaukee Hip-Hop scene is like learning a lesson or two. The New York Hip-Hop scene is like taking an entire course or class. TI: Name five qualities that you possess that you feel make for a good emcee? JE: The first quality is I’m a perfectionist. The sound, the lyrics, everything about my music has to be just right. The second quality is respect for the art of Hip-Hop. So many rappers in the game today don’t really have respect for Hip-Hop or its history. They are in it for the wrong reasons. The third quality is being knowledgeable about the industry and respecting current artists. The fourth quality is my background. Coming from New York, I was exposed to a lot of different cultures and situations. I feel like that helped shape who I am as an artist. And the fifth quality would have to be my vision. I have a very creative and optimistic way of thinking. So in my opinion it makes me a more open writer, freestyler, etc. Most rappers these days are not that open. TI: How do Steal From The Rich, Give To The Poor and The Show differ and which project do you prefer? JE: Steal From The Rich, Give To The Poor was kind of accidental. I wasn’t really trying to do a mixtape. But Marxmillion suggested I try it to capture more fans and appeal to a new audience. Also, we thought it might be a treat for my already established listeners. I didn’t have any real expectations for the project. The songs were based on life experiences, I was in a happy place in my life, and I just went for it. The Show was done more or less to show my growth. I put way more effort into the sound and the lyrics. Also, I was a lot more focused. I wanted the end product to sound more like an album. More importantly, I wanted to show listeners that I was a serious Hip-Hop artist. You know prove that I was invested in my music and display my skills. I still had fun with it though. On another note, the title was a play on Biggie being my inspiration. 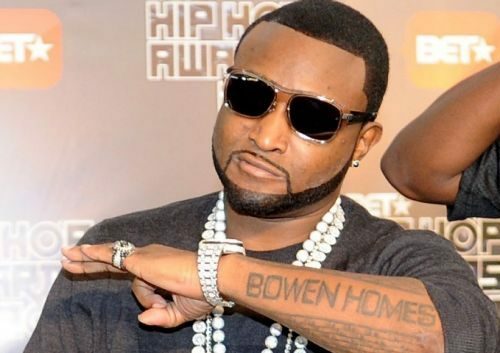 He appeared in the Hip-Hop documentary The Show and was on the soundtrack. I saw that and it stuck with me. And of the two projects, The Show is definitely my preference. TI: Describe The Show for someone who wanted an idea of what to expect from the album prior to listening to it for the first time. JE: It’s a collection of life values, family values, and Hip-Hop. It’s like beats, rhymes, and life all in one package. I drew inspiration from any and everything. Especially, various conversations that I have had with people. For example, “Happiness” was inspired by my fiancé and daughter. My fiancé is an important part of my career. She is very loving and supportive. And I wanted to show her my appreciation and that I care. In fact, “Happiness” is my favorite track off the album. Another example would be “New Money.” That track was inspired by a conversation I had with my fellow Blaqlizt mate Kia Rap Princess. We had a conversation one day about money and ways to generate income and the rest is history. So it’s just my interpretations of everyday people and situations put to music. TI: Name three things that you would like to experience as an artist before you hang up the mic for good? JE: The three things I want to experience are simple. First, make enough money to take care of my family. I am not trying to be filthy rich but I want us to live comfortably. Second, I want people to be inspired by my music. 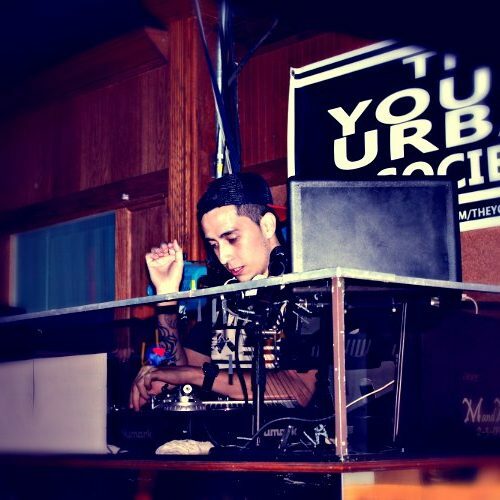 Like in the same way that Biggie inspired me and countless others, I want to accomplish that. And third, become respected as a serious Hip-Hop artist and pioneer. TI: If you weren’t rapping, what else would you be doing? JE: I would assist my fiancé with opening up a clothing store. I wouldn’t want to just contribute financially either. I would want to be hands on in every aspect. And other than that, I would just be spending as much time as possible with my children and family. TI: Are there any future projects that you are working on that fans should be looking out for? JE: I am in the making of a new project. I have been working on it since this past Summer. I went through a brief period of feeling uninspired but found a new sense of energy from my fiancé and my genuine passion for music. The project is titled the End 2 The World LP and it will be released via the new Blaqlizt Music Entertainment. And I just want to record as much as I can in the future as well. I plan to continue to grow and shape myself as an artist. 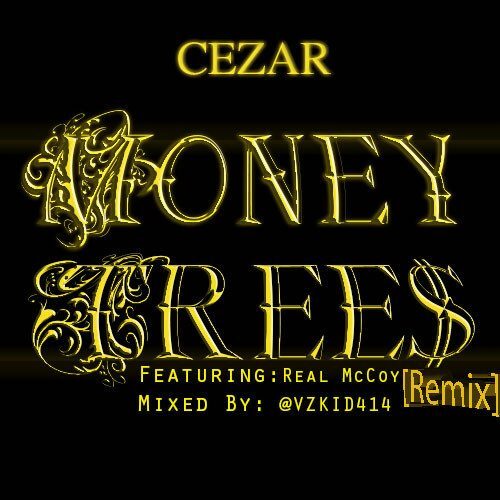 Cezar F/ Real McCoy - "Money Trees Remix"